Apple will release a second-generation iPhone SE in the first half of 2018, according to Taiwan's Economic Daily News. The report claims the tentatively named iPhone SE 2 will be assembled exclusively by Taiwanese manufacturer Wistron at its factory in Bengaluru, India, where some assembly of the current iPhone SE occurs. The rumored release date window lines up with an earlier report from Focus Taiwan claiming a new iPhone SE will ship in the first quarter of 2018, which encompasses January through March of next year. 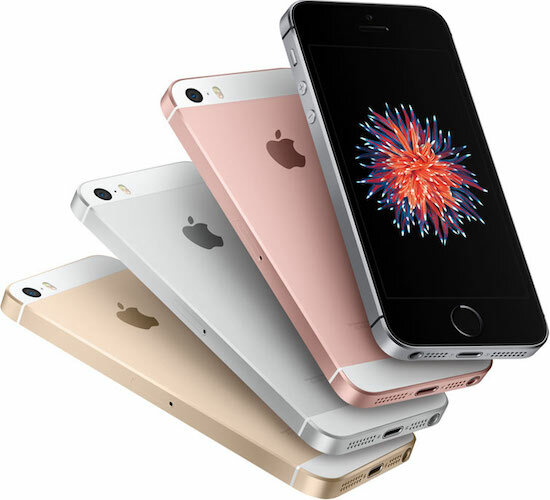 Apple introduced the current iPhone SE at a media event on March 21, 2016, and the device launched later that month. Given the rumored launch dates, the iPhone SE 2 could certainly be unveiled in March too. Indian website Tekz24 previously reported that the next-generation iPhone SE will be powered by Apple's A10 Fusion chip, with 2GB of RAM, 32GB and 128GB storage capacities, a 12-megapixel rear camera, a five-megapixel front camera, and a slightly larger 1,700 mAh battery. Tekz24 isn't a website we're familiar with, and it doesn't have an established track record of reporting on Apple rumors, so don't place too much faith in those tech specs until if and when they are confirmed by other sources. The current iPhone SE looks much like the iPhone 5s, including its smaller four-inch display preferred by a subset of customers. The device is powered by Apple's A9 chip, like the iPhone 6s and iPhone 6s Plus, and it has 2GB of RAM, a 12-megapixel rear camera, a 3.5mm headphone jack, and Touch ID. Apple hasn't fully refreshed the iPhone SE since it launched, but it did double the available storage capacities to 64GB and 128GB in March. It also dropped the device's starting price to $349 a few months ago. I want an iphone X se? As long as it has a headphone jack, count me in! I wonder if it'll look the same or if they'll switch to looking like a 6/6S/7/8. It'll be a way of telling people who have a phone that looks like that that they're way behind the times and they need to upgrade to an X or they're lame. Only the shallowest most irrelevant of people think some person's level of "lameness" is in any way factored by what year their pocket phone was designed in. I guarantee you the owners and users of such handsets, do not care. If it looks like the iPhone 5 again, then that design won’t be dead until 2020. That’s insane! meh, nothing wrong with that, it's a very good looking design. I hope they keep the SE form factor exactly as is, including the headphone jack. Absolutely love the SE, and the only thing I'd be interested in upgrading to is a better SE. I think they absolutely are. This would be the perfect successor to my wife's iPhone SE. I hope this rumour is true - I've stuck with my SE, as a far better phone than the slippery 6/7/8/x curvy edged, sticky out camera, over-sized, expensive toys. Still looks great today. This design aged very well.